Never worry about losing your iPhone videos and music again! Transfer files from iPhone to PC or iTunes library for backup. Add the music and videos you want to your iPhone without using iTunes yet easier and quicker than iTunes. Supporting all iPhone types (CDMA iPhone, iPhone 1gen, iPhone 3G, iPhone 3GS, iPhone 4, iPhone 4S, iPhone 5, iPhone 5s, iPhone 5c, iPad Air even iPod touch and all iPod models), mediAvatar iPhone Transfer does not only copy files from PC to iPhone more conveniently than iTunes, but also transfer music, photos, videos movies and applications from iPhone to PC or iTunes, as well as connect multiple iPhones to share iPhone files in between. With this mediAvatar iPhone transfer software, you can share your iPhone with other iPhone and iPod fans well. The iPhone Transfer allows iPhone transferring of your playlists. Try mediAvatar iPhone to PC Transfer for Free! Start to manage, backup, transfer your iPhone files now. This iPhone to PC transfer software does what iTunes cannot, i.e. copy music, movies, and photos from iPhone to PC for backing up and sharing. Now allows you to backup movies shot by your iPhone 5 to computer. Transfer iPhone files directly to iTunes library as a powerful iPhone backup tool. Transfer application between PC and iPod, also support to manage some applications' documents. Newly support app drag and drop. 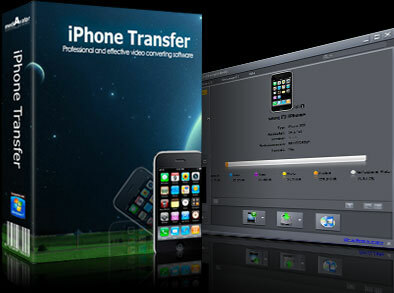 The iPhone Transfer PC software supports connecting as many iPhone/iPod as you want, allowing you to transfer and share your movies and music among all these iPhone and iPod. File transfer from PC to iPhone with this iPhone copy software is easier than iTunes. Just transfer the files you want in minutes. The iPhone Transfer PC software is compatible with CDMA iPhone, iPhone 1gen, iPhone 3G, iPhone 3GS, iPhone 4, iPhone 4S, iPhone 5, iPhone 5s, iPhone 5c, iPad Air and even all iPod models. The newest iOS 4.3, iOS 7 are all supported. It's easy to create and delete iPhone playlists and add or delete items in an existing playlist. Now you can even transfer playlists between multiple iPhone/iPod devices. You can check detailed info about your music, movies, and photos, and edit music ID3 tag to better classify and manage your music with the iPhone transfer software for PC. The PC iPhone copy tool offers list and thumbnail modes to view the files, also allows you to set personalized illustration for music and movies in thumbnail mode. Newly added the function of setting album cover and album view mode under photo node. Use Cover Flow to flip through your digital music. Grid View lets you browse all your music, movie, picture by their cover art. Or Search your collection by Album List View, Artist list view, Genres list view or Composers list view. No matter which way you browse. With the Quick Search and Filter functions, you can speedily find music, movie or photo files you want. The PC iPhone transfer enables you to comment on the iPhone files with different ratings to manage them more conveniently. iTunes-like interface and sound design makes transferring from iPhone to PC a cinch. Transfers from iPhone to PC, iPhone to iTunes, and PC to iPhone will be finished inconsiderably fast. Copy photos from photostream to your computer and import contacts exported from incredimail easily. Transfer any videos and audio files to iPhone, also backup iPhone movies and music to PC or iTunes library. Rip DVD to iPhone MPEG-4, H.264/AVC video and MP3/M4A audio.